The speaker system's satellites feature the Creative DSE design, which enables them to achieve louder and deeper playback even when constrained to a compact housing. This is made possible by separating the port tube into two separate slots and reconstructing them to fit into a tight enclosure. Their space-saving size allows for easy and versatile placement to achieve an excellent 5.1 positional audio experience. The newly-improved Creative IFP design features an extended flare surrounding the satellite driver to provide an even wider acoustic sweet spot. 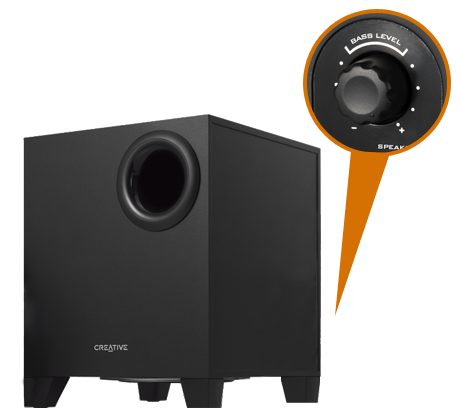 This improves sonic directivity to the listening area, giving music more focus while preserving tonal accuracy. 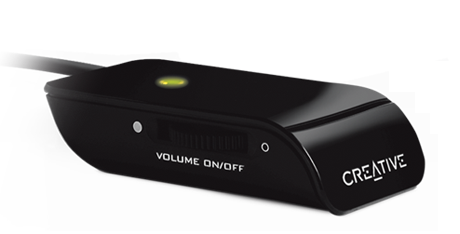 The handy wired remote control gives you easy and convenient access to the ON/OFF switch and volume control.